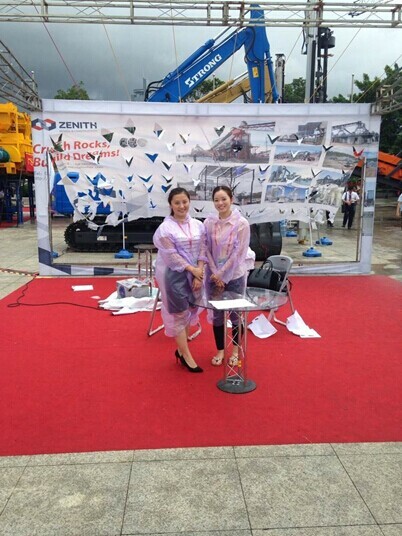 From September 16 to 19 2014, the 11th China - ASEAN Expo was held in Guangxi and Anna Yang and Cindy from ZENITH International Trade Center attended the event on behalf of ZENITH. There was a streak of bad luck brought by Typhoon Kalmaegi: sun alternating with heavy rain, delayed flight, damaged booth stand... Facing these hardships, the two ladies, though looking delicate, did not flinch. They responded actively until closure of the expo. "At noon on the first day of the expo, the hot weather suddenly changed. It took only half an hour for the typhoon to blow down four or five booths. Our own roof was also blown off. Seeing this, we immediately contacted the erection company to reinforce the booth, while racing against time to pack our catalogues and other items." This is what Anna recalls about the experience of this expo, full of twists and turns. On the third day, the typhoon was forecast to weaken. They immediately notified the erection company to repair the roof to continue the expo. With respect to the outcome of this expo, less customers than expected were attracted to the event, possibly because of the bad weather, according to Anna. 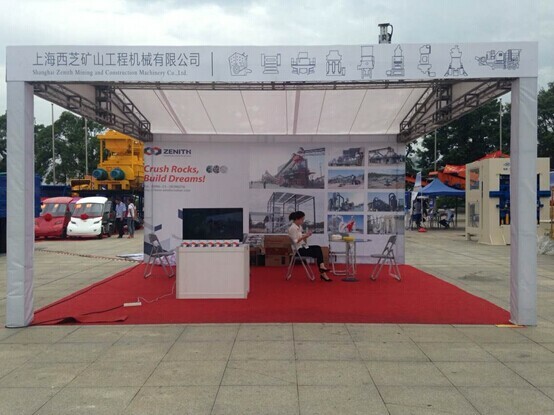 The tough travel, difficulties at the expo, lower quality of customers than expected... 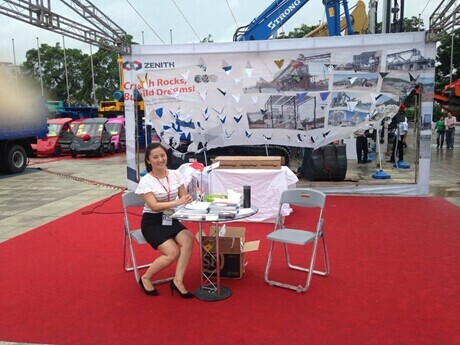 Although the expo was beset with difficulties, they were all solved by Anna and Cindy with their smile and positive attitude, which are the values cherished by ZENITH.